EUGENE, Ore. – NemaMetrix, Inc., the biotechnology developer of a palm-sized device that uses nematodes, microfluidics and electrical measurements to quickly test drugs and detect environmental toxins, today announced the company has raised $1 million in seed investment led by Cascade Angels. Joining the round was the Portland Seed Fund, Oregon State Venture Fund, TiE Oregon, Oregon BEST and a number of private investors. NemaMetrix will use the seed investment to expand research and grow adoption of its flagship ScreenChip technology, which enables real-time discovery of drugs and their molecular mechanisms of action and toxicity. The ScreenChip platform measures minute electrical signals using microfluidics to analyze the effects of drugs and environmental toxins on the C. elegans worm, a small, transparent nematode that shares a high degree of genetic and neurophysiological similarity with humans. With its well understood nervous system, completely sequenced genome and the ability to modify its genetic underpinnings to emulate a human illness, the C. elegans nematode worm is one of the most important laboratory animals in the world, which is why it is used widely in research to drive understanding and unlock cures for more than 60 percent of human diseases. But C. elegans nematodes are challenging and time consuming to work with in the lab. The palm-sized NemaMetrix device dramatically speeds research by processing hundreds of nematodes per experiment and analyzing electrical readouts using technology similar to electrocardiogram (ECG) tests on humans. Using C. elegans worms, which have a two-week lifespan, reduces the time and costs associated with current testing methods that often involve laboratory mice or rats. The ScreenChip also reduces training time required for technicians doing drug and environmental testing. The platform helps advance drug research and is paving the way for novel therapeutic breakthroughs. Early adopters are currently using the NemaMetrix technology as a platform for investigations into Alzheimer’s disease, anti-aging, and ALS (Lou Gehrig’s Disease). This marks the first investment round following the University of Oregon spinout’s inception two years ago, which was funded by the National Institute of Health (NIH), the Oregon Nanoscience and Microtechnologies Institute (ONAMI), the Oregon Translational Research and Development institute (OTRADI) and Business Oregon. NemaMetrix is a biotechnology company that developed the ScreenChip, a first-in-class drug discovery and development platform utilizing the nematode worm, C. elegans, as a model organism. The company’s mission is to offer an affordable and rapid system supplementing the traditional mouse-model. The ScreenChip system can enable screening of therapeutics for orphan and world diseases. 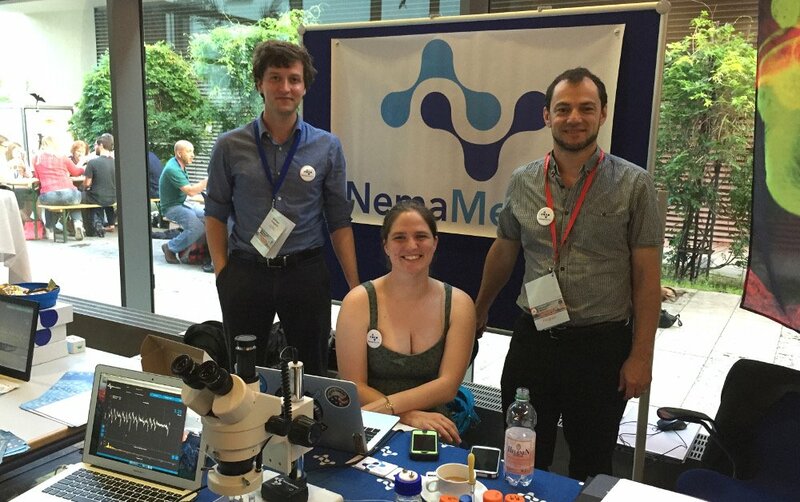 NemaMetrix was founded in 2011 in Eugene, Oregon and housed at FertiLab. More at: www.nemametrix.com.